This is a low-cost, novel twist on finding the perfect product. Music lovers are finding themselves on hard times. Specialty home audio stores are becoming an endangered species. Big-box stores are allocating less and less space to quality speakers and audio systems. Consequently, finding and auditioning great audio gear is becoming a real challenge. Lumoid wants to change all that with the launch of a new service called Lumoid Listen. The company wants to make it easy for you to evaluate quality audio gear in the place that matters most: the comfort of your own home. Lumoid is taking the rent and try-before-you-buy experience to a whole new level. The company officially launched in January 2014 after going through the seed accelerator Y Combinator. In January 2015, Lumoid branched into wearable rentals while still offering per-day rentals for drones and photography gear. What kind of audio gear is available? Lumoid Listen will offer three categories of audio gear: The first will be home audio, which will focus on in-home speaker systems (you’ll be able to rent full systems with a la carte pricing). The second will be portable audio, which will feature portable Bluetooth and wireless speakers. The third will be personal audio, which will feature headphones. Sonos is one of several audio companies participating in Lumoid's try-before-you-buy service. 100 percent of Lumoid's trial fee goes towards the purchase of the speaker you buy. And Lumoid Listen won’t limit you to cheap, no-name brands. Sonos, JBL, Sony, Bose, Sennheiser, Beats, Marshall, Audio Technica, and Harmon Kardon (just to name a few) have signed on. 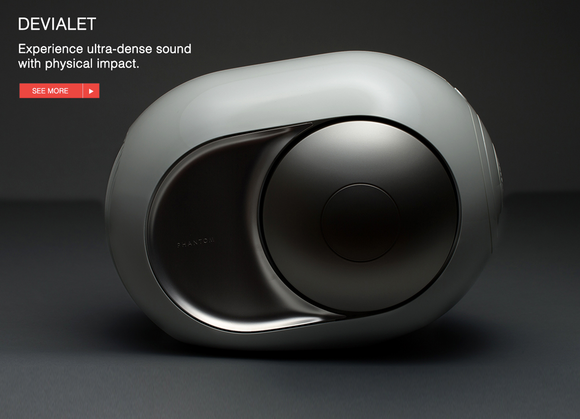 Moreover, some exclusive, uber high-end audiophile brands like Devialet and Audeze are part of the initial brand lineup. Lumoid promises there will be more brands soon. You can try multiple audio items without having to pay full retail up front (your credit card bills will thank you). So who exactly is Lumoid’s target audience? 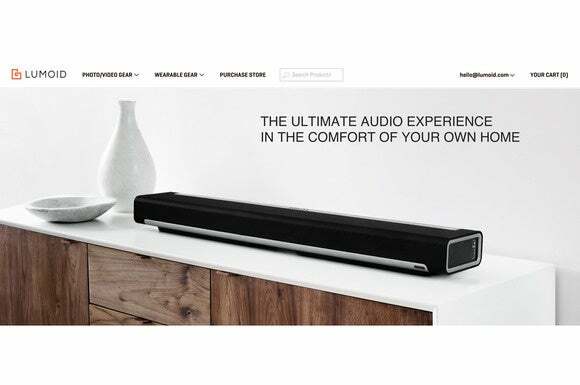 According to Aarthi, the company is targeting a broad spectrum—everyone from audiophiles to commuters. So, if you’re an audiophile looking for a pair of headphones for a very specific need, Lumoid wants to be your go-to source. 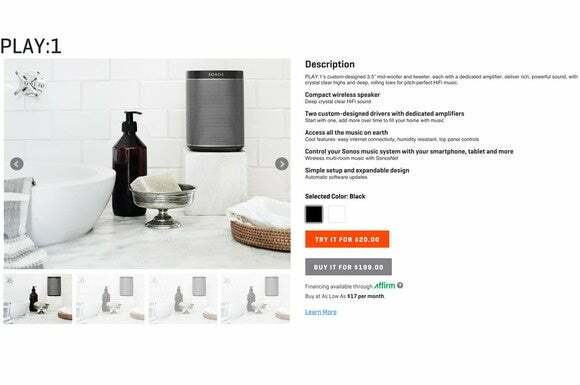 If you’re in the market for a new Bluetooth audio system that costs less than $50, then Lumoid will have that solution, too. This is a fascinating approach. Let’s say you’re looking for a new home stereo or home theater system but aren’t sure which one is best for you or which features you’ll actually use. In the case of multi-room wireless music, you could setup units from Bose, Sonos, and Harman in multiple rooms around your home and test them side-by-side-side to see which one you like best. Imagine the headache of paying full price for all that gear, knowing you would end up returning at least two systems in the end. There’s nothing more personal than headphones. With so many options regarding size, price, and sound quality and the places you’ll end up using headphones (commute, workout, work, and so on) you can now try different pairs of headphones within a particular category and really kick the tires on different pairs to see which one fits your needs best. How does it work and what makes it different? With Lumoid Listen, you get to try products for two weeks. Once you’ve decided which one you’re going to buy, you send the others back using the included shipping labels. Moreover, what’s really cool about the Lumoid Listen model is that most—and sometimes all—of the trial fee goes towards purchase. In other words you end up just paying the retail price or just a bit more. Now you don't have to trust us when we say Devialet's Phantom is amazing. You can try one before you buy one. 100 percent of the $55 trial fee is credited towards a purchase of the $1990 speaker. With headphones, for instance, you can audition three pairs from a given class of headphone: “Fitness Junkie,” “Fashion Forward,” “Under $300,” “Audiophile,” “Noise-canceling,” or “In-ear Buds.” In some of those categories, 100 percent of the rental fee is credited toward your final purchase; in others, most of it does. In the Audiophile class, for instance, you can choose to evaluate Harman Kardon Soho Wireless, Bose SoundTrue, Beats Solo 2, JBL Synchros S400BT, Senheiser Momentum On Ear Ingress, Audio Technica ATH-M50x, House of Marley Legend ANC, or Sony MDR-XB950BT. Should you decide to purchase one of the three pairs you evaluated, the full $30 rental fee would go towards your purchase. On the downside, if you didn’t like any of them, you’d be out $30. With the available options shrinking each week, music lovers will be in desperate need of a new way to try out quality audio gear. Lumoid Listen brings a unique and creative way to do this in the comfort of your own space.